Unwanted weight gain has become one of the most common health problems. Sometimes you do not even realize how all that fat got on you! Being heavy weight comes with its own set of risks, for example it makes a person more vulnerable towards cardiovascular diseases. People are always trying new methods to shed those extra pounds. There is no short cut, no magic medicine that can just eliminate the fat in a blink, but there are other, much steadier methods, that may take time but will surely get you there. You might have already tried those fake “herbal teas” that promise to make you slim, well its time you learn what herbs to use and how. I won’t make any false promises of getting you slim in a month but yes, a combination of herbs and a healthy disciplined lifestyle can help you lose weight. Acai belongs to the palm family. The scientific name of Acai is Euterpa oleracea. The berries of this herb are known to be one the most potential herbal remedies for weight loss. Some researchers claim that the consumption of Acai berries reduces appetite and enhances body energy, thus you eat less and exercise more! You can use the berries in a number of ways. Fresh or frozen berries can used to prepare juices, shakes, muffins and cakes. If you’re lucky enough you may also find this berry in a supplement form but the chances are quite small. Spirulina, botanically known as Arthospira platensis, is a splendid herb and complements your weight loss diet very well. During weight loss your body requires 10% protein and this herb is rich in protein minus the fats and calories! It control cholesterol, enhances immunity, strengthens muscular activity and promote sugar metabolism. All of these activities lead to a steady weight loss. You’ll find the powdered form of this herb. The powders can be used to prepare milkshakes or smoothies and can also be added to your fruit juices. Spirulina capsules are also available. 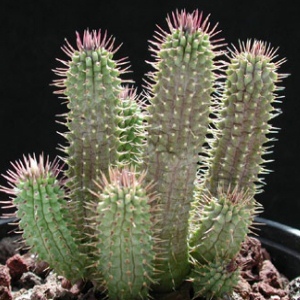 Hoodia is scientifically known as Hoodia gordonii. The properties of this herb is still under study but it is really promising herb. Studies this far, suggest that this herb is beneficial for those who want lose weight. It mimics the effect of glucose molecules and transmits false “I am full” signals to the brain. This suppresses appetite and the person tends to eat much less. Please note that this herb only prevents further calorie intake (thus no more added fats) and you’ll have lose the fat through exercise. Hoodia is only available in capsule and extract form. The flowers of this herb are extremely beautiful but they also serve practical purposes too. The flowers have been used to treat and cure some common problems like alopecia and weight. The hibiscus herb contains a micronutrient named pheseolamin. This micronutrient prevents the body from absorbing fats and itself adds zero calories to your body. This herb also helps you keep your cholesterol levels in check. Th best way to take this herb is to prepare a tea using the flowers. Nowadays, readymade hibiscus tea bags are also available. You may also buy the dehydrated flowers and prepare fresh tea. Drink this tea thrice daily. Cassia nomame is a member of the pea family. This herb is native to the Chinese provinces. 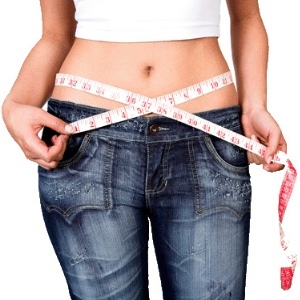 Cassia nomame has become popular because of its wonderful property that helps in weight loss. Research conducted on this herb shows that the chemicals present in the herb are natural inhibitors of lipase. Lipases are body enzymes that degrade the lipids or the fatty molecules and help in their absorption. Cassia inhibits the enzymes and hence prevents absorption of fatty molecules. This herb is only available in supplement form. Gurmar is a native of the Indian tropics. 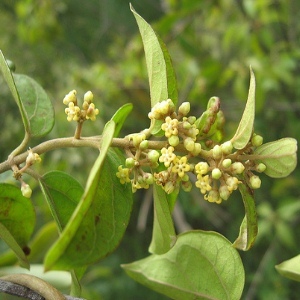 In scientific terms, Gurmar is known as Gymnema sylvestre and it belongs to the Milkweed family. Gurmar has been a part of Ayurvedic medicine for thousands of years and even today it is considered a wonderful herb for weight loss. There are 2 chemicals (Gurmarin and gymnemic acid) that are primarily responsible for the medicinal properties of this herb. The herb balances the glucose level in the body, controls cholesterol and curbs sugar wanting therefore you’re less likely to indulge in high calorie foods. Take this herb in form of tea to help in your weight loss program. Stevia is also known by the name Sweet leaf. This herb belongs to the Sunflower family. The leaves of this herb are slightly sweet in taste, hence the name. This herb can be used instead of sugar. Thus with regular usage you can cut down drastically on your calorie intake because this herb comes with almost negligible calories. You can add the whole leaves to your tea and to add this for dessert and other sweet dishes you need to use the extract or the powder form. This herb is also known as Indian Coleus or False boldo and it is a member of the Mint family. The roots of this herb have been traditionally used to treat blood pressure and keep the weight in control. Th herb, in fact helps in losing weight by breaking down the fat molecules and improving fat digestion. It also keeps the cholesterol level in check. The chemical behind this is forskolin. Th best way to take thisherb is to purchase the supplement form. The fresh roots are available but they contain only 18% of the active chemical. Scientifically this herb is also known as Garcinia cambogia. 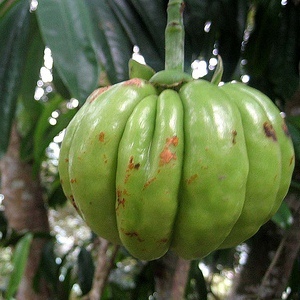 The fruit of Garcinia is widely used for weight loss. Hydrocitric acid (HCA) is extracted from the fruits which features in a number of commercial weight control formulas. HCA breaks down the fatty molecules thereby preventing them from accumulating in the adipose tissues. HCA extracted fr5om this herb also reduces appetite. It is much better to use the whole fruit to ensure that your body is really absorbing the fruit. You can use it to make tea.